If you want to succeed with your goals, you need to make them measurable, specific, and completed within a given deadline. 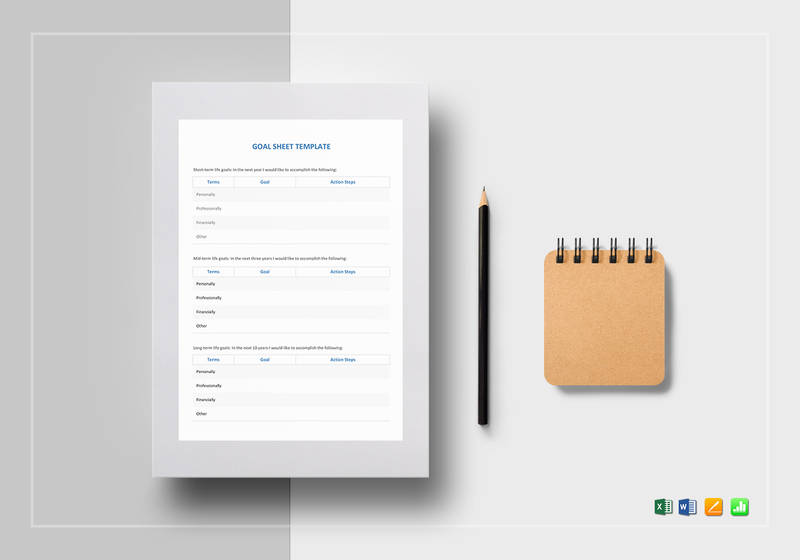 That is why we are offering this goal sheet template for you to start making one with no hassle. 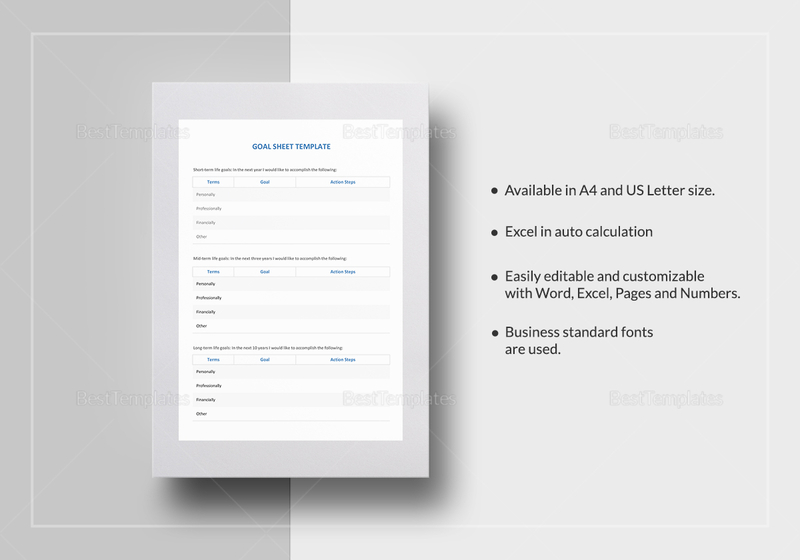 Easy to edit and customize in all versions of MS Excel, MS Word, Apple Pages and Numbers. Download now for a very low price.